I’ve watched It’s a Wonderful Life (1946) at least 15 times. How I feel about my own life and humanity in general colors how I judge the film from year to year. I have not watched it yet this holiday season but I do know how I am feeling about my life. And I believe quite soundly it truly is a wonderful life. We’ve all been made to do things out of obligation and we have all felt trapped in circumstances that seem so far out of our reach. We’re human. Some years you feel like George Bailey before the icy dip into the river and some years you can see the possibilities. George Bailey, our everyman hero, in It’s a Wonderful Life, isn’t in touch with his life. He’s super in touch with how his life should be. Other people, it seems to him, are living it. And there is a very bad guy who doesn’t want him to see the world. And that bad guy isn’t Mr. Potter. Potter’s a crank but he isn’t standing in George’s way. It is George that is the bad guy standing in his own way. George blames everyone in his life. And so an angel is delivered to him at the very moment he is being his most selfish. And George begins his journey of realizing how one man’s life has a wide, wide circle of impact on others. I really hope you have seen this movie. 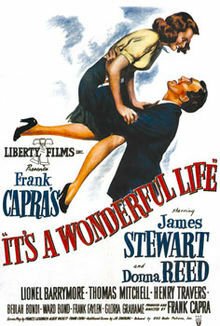 It is life affirming and a really great holiday movie. As my friend Greg Stowe says, and I am paraphrasing Holidays are a tough town. It sure can be stressful. And disappointment can really abound. If you let it. Some years you gotta let it. So, this year when you watch the myriad of Christmas movies out there let the sweet melt you or let it make you cold. It is up to you. Really. I offer one more piece of advice. 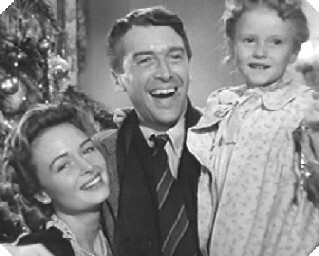 If you haven’t had a good cry or felt the bigness of humanity lately treat yourself to It’s a Wonderful Life. This entry was posted in boots1965 posts, Uncategorized. Bookmark the permalink.